Volunteer Canada provides strategic counsel and program development to help you build and anchor an effective corporate community engagement program. We customize programs to fit every client’s capacity and community engagement goals with actionable insights and strategies based in knowledge of global trends and innovations. From strategy development to stakeholder consultation, partnership brokering to execution of volunteering projects nationwide, Volunteer Canada has supported the development of successful community investment programs from coast to coast. 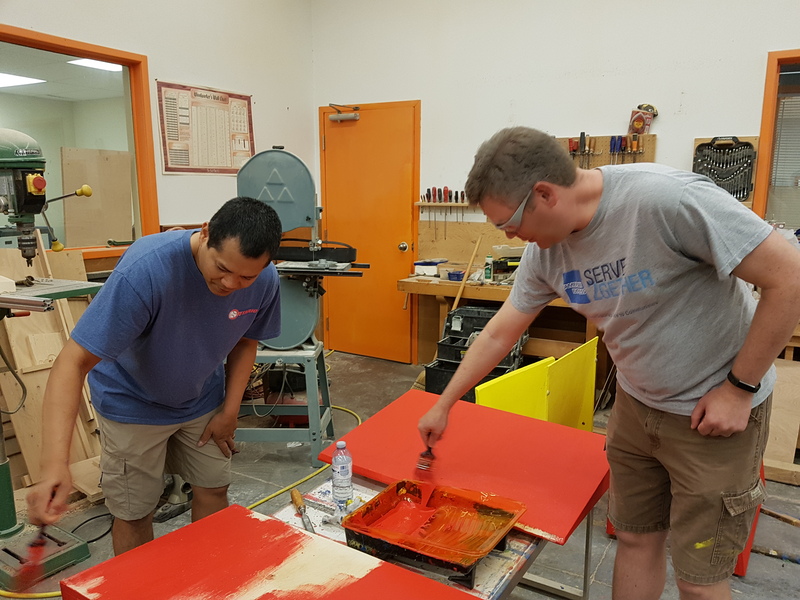 Creating and managing corporate volunteering projects coast-to-coast – We facilitate 30-40 group volunteering opportunities annually for corporate clients, engaging community organizations and providing turn-key onsite management. Research and recommendations - Benchmarking practices of other companies and making client-specific recommendations against these practices. Program review and recommendations – Against current challenges and future goals. The challenge: Ignite employees to take action towards the company’s goal of one million hours of community service by 2015. The solution: Celebrate 40 years of business by beautifying a rundown city park in Toronto and another in Vancouver. The results: More than 1,200 employees participated and logged nearly 10,000 hours of community service in just one day. The level of customer service, attention to detail, and “can do” friendly attitude was something I’ve never experienced before working with a supplier or non-profit. I also received incredibly positive feedback from all parties involved in this project around the level of service, professionalism and expertise of the crew from Volunteer Canada. This event was the start of our relationship and one we are absolutely looking forward to continue. We really couldn’t have pulled off a successful program without their help and guidance! The challenge: Engage and inspire employees through service in the company’s annual Month of Service initiative. The solution: A commitment to deliver volunteer activities that better communities across the Greater Toronto Area. The results: A measurable increase in employee participation on a full array of transformational projects—improving the ecosystems around streams and creating toiletry kits for persons living on the street are among the highlights. During SAP’s annual Global Month of Service campaign every October, we know that we can consistently rely on the commitment and expertise of the team at Volunteer Canada to create and execute a series of transformational service activities that actively engage our employee volunteers and impact the communities that need it most. This type of trusted partnership is key to the success of our programs. Call us to discuss your company or organization’s community involvement ideas. For more information on Volunteer Canada’s services, contact Elizabeth Dove, Director of Corporate Citizenship at 416-574-1936 or edove [at] volunteer [dot] ca.